Today I got my Christmas present from Kim and the girls. 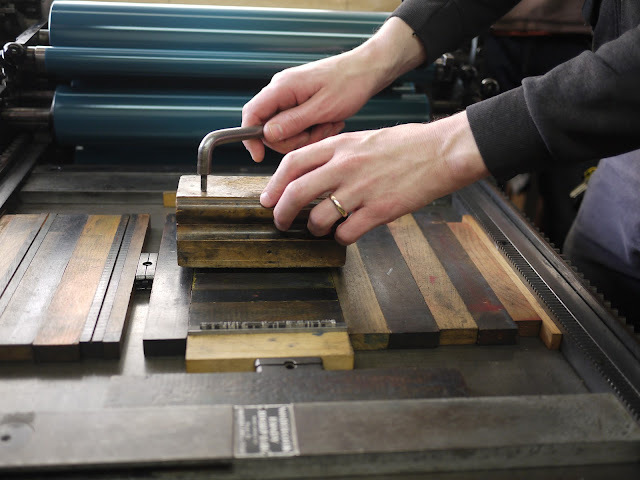 Now that may sound a little belated, but you see, my Christmas present was an enrolment at Kala Art Institute here in Berkeley for a day long letterpress workshop. Today was the day. I've been excited about learning the art of letterpress ever since I discovered that the San Francisco Bay Area seems to be some sort of hub in the letterpress world. While researching San Francisco prior to our move I was delighted to discover just how many little letterpress studios there are in the area. And when it comes to learning this beautiful craft, between Kala Art Institute and San Francisco Center for the Book the opportunities abound. My workshop today was just a little look into the world of letterpress and has left me wanting more. I'll definitely be signing up for more classes! It felt so good to be working on something creative again even if it was for such a short time. 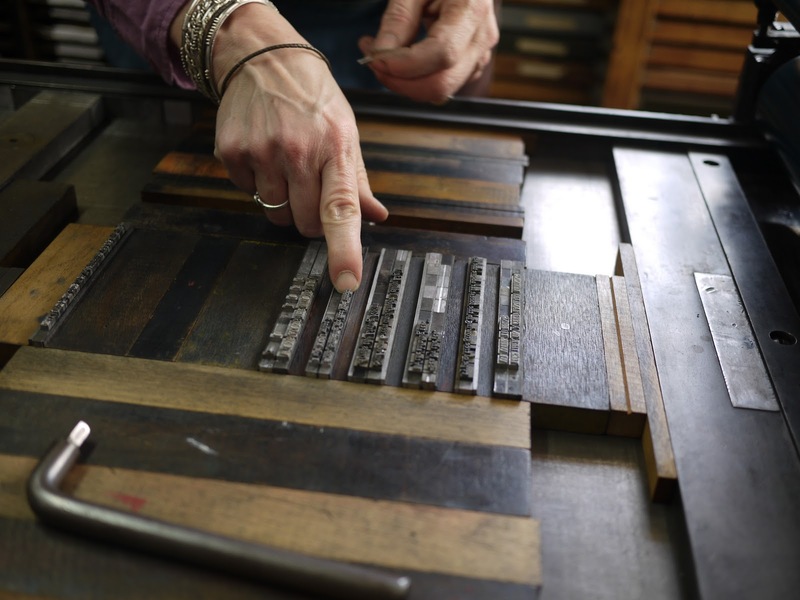 Our teacher, Lisa Rappaport of Littoral Press, was a font of knowledge for all things letterpress and I feel like I have come away from the workshop with brand new skills that, once nurtured through a few more classes, will open up new opportunities. Get ready for fancy Christmas cards this year everyone! As letterpress is quite a time consuming craft our class of six students worked on a broadside design together rather than printing our own. I had this idea in my head that I was going to come away with a beautiful, personalised broadside for Ava's birthday next week but that would have just taken too much time. To come up with the text for our broadside we each came up with a sentence starting with the last word for the previous line. This resulted in an odd poem which was aptly titled "Sum of Parts" by one of the students. Each student was given the task of hand setting their own line of text in a composing stick. This may not sound much of an arduous task but keep in mind that the text is rather small (we used a maximum of 18 point) and everything is backwards. 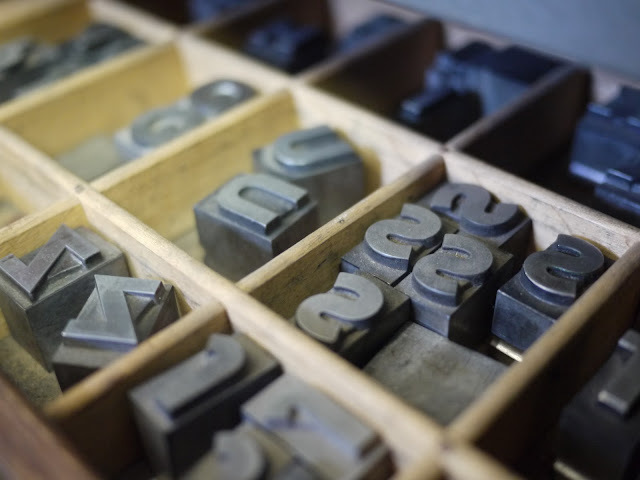 The text is aligned in the composing stick upside down so add this to the fact that everything is backward and you discover how much fun it is dealing with the letters b, d, p and q! Each letter, space and punctuation mark must be individually set in place. Leading, literally a length of lead, is placed in between lines of text for... well, leading. I love it when terms we use in computer programs come from such literal origins as this. 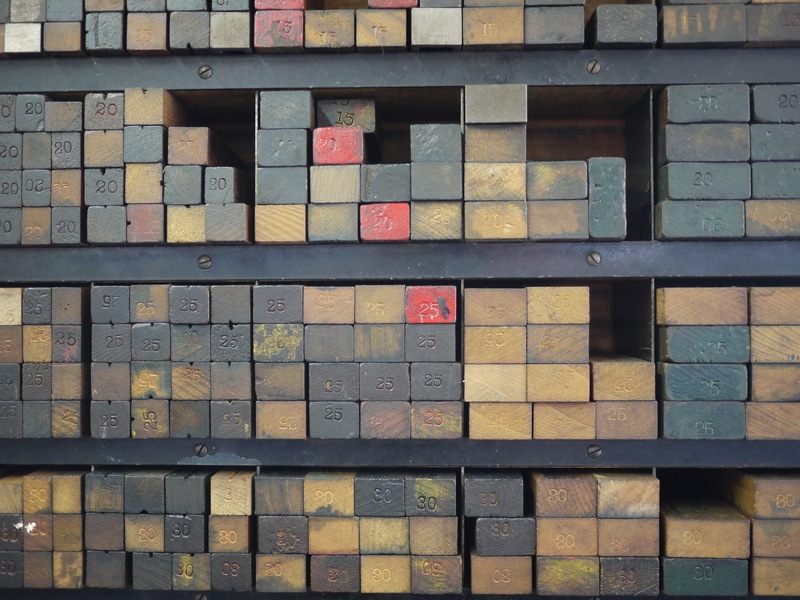 Once our lines of text were complete in our composing sticks they were locked up together on the press bed ready for printing. To lock the text in place pieces of wood called furniture and expanding metal pieces called quoins are placed around the text to fill out the bed. The text is checked to make sure that it is aligned properly and that no pieces are loose. 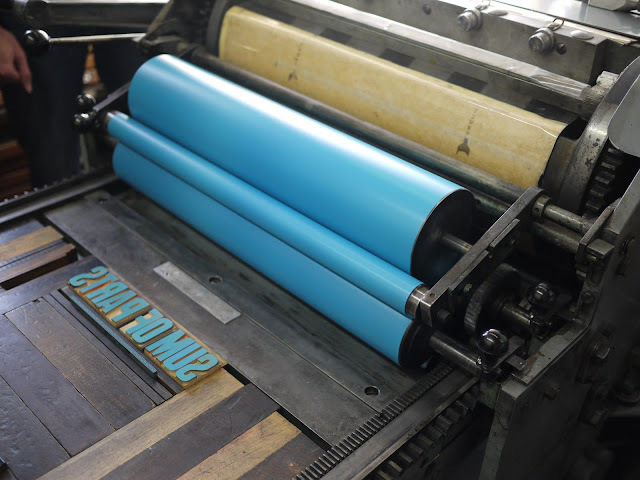 Once the text is ready to go the rollers are inked up. The rollers slide side to side mixing the ink to a smooth even consistency. It's almost hypnotic watching them moving and spreading the ink. 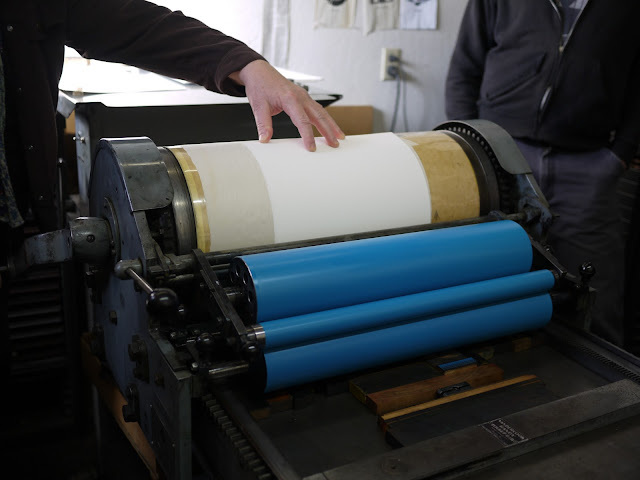 When the ink is ready the rollers are rolled over the test to give them an initial coat of ink. 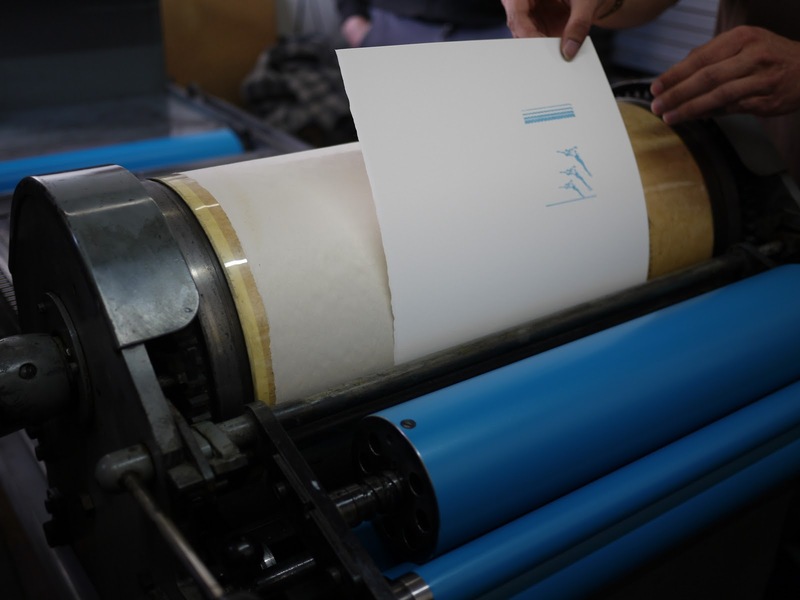 Paper is then inserted into the top and it's time to walk the press to the end and back by turning the handle on the side. This rolls the paper over the ink rollers and then returns the press back to the starting position ready for the next print. 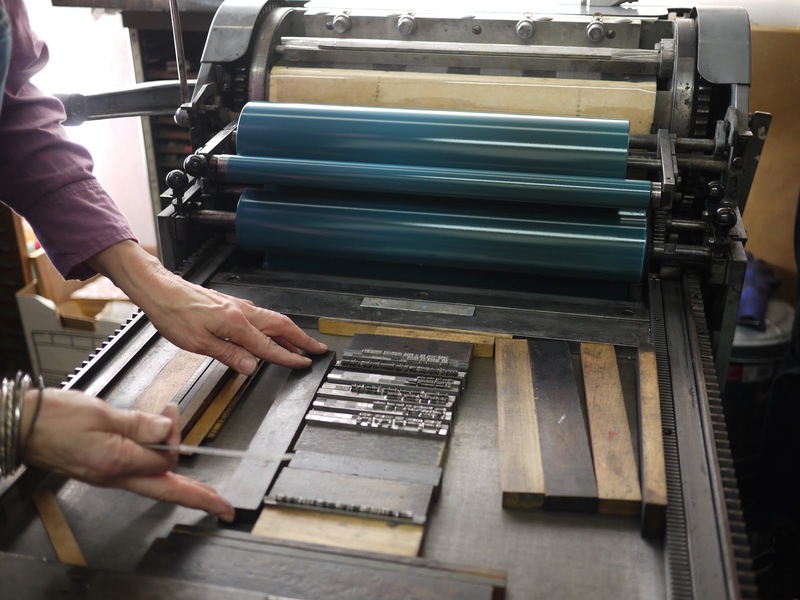 Although it was hard work (those printing presses are pretty heavy) rolling the press backwards and forwards over the type block almost felt like a form of meditation. I would've loved to have kept printing after my six copies were done. I imagine it would get pretty tiring after a while though. Voila! A print pops out at the other end. Now, I've gone a little backwards here as we actually printed a two colour broadside and as our heading and images were printed in a lighter colour they were done first. The process however is pretty much the same. 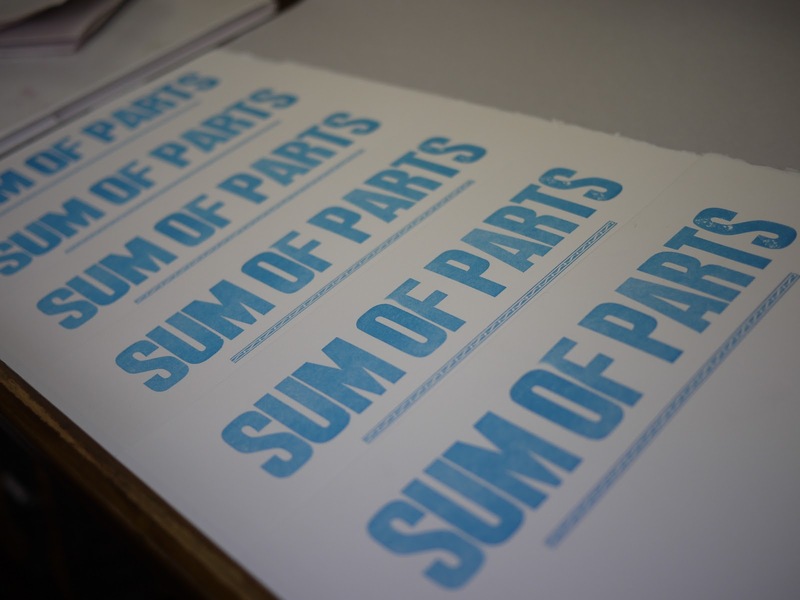 As we wanted our title to be quite larger we chose wooden type which tend to be much larger than metal type. 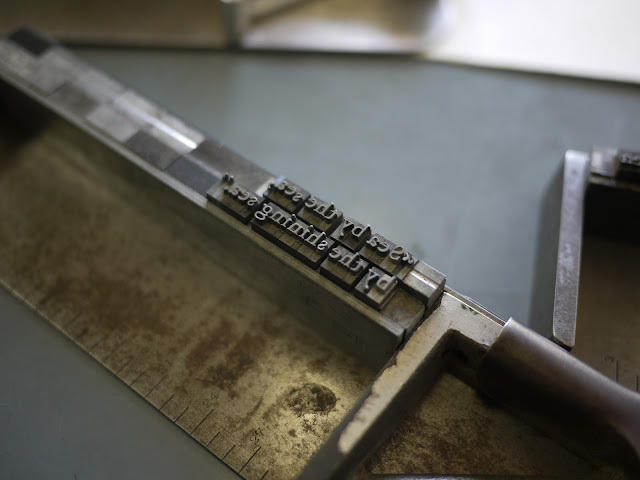 This was set up on a composing stick much like the main text of our print and was then locked up with furniture on the press along with our chosen image and a decorative line. 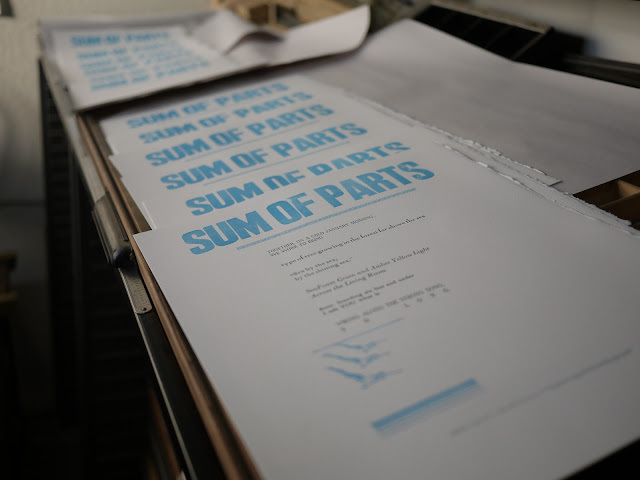 And here below you can see the fruits of our labour: our two colour broadside of our mismatched "poem". 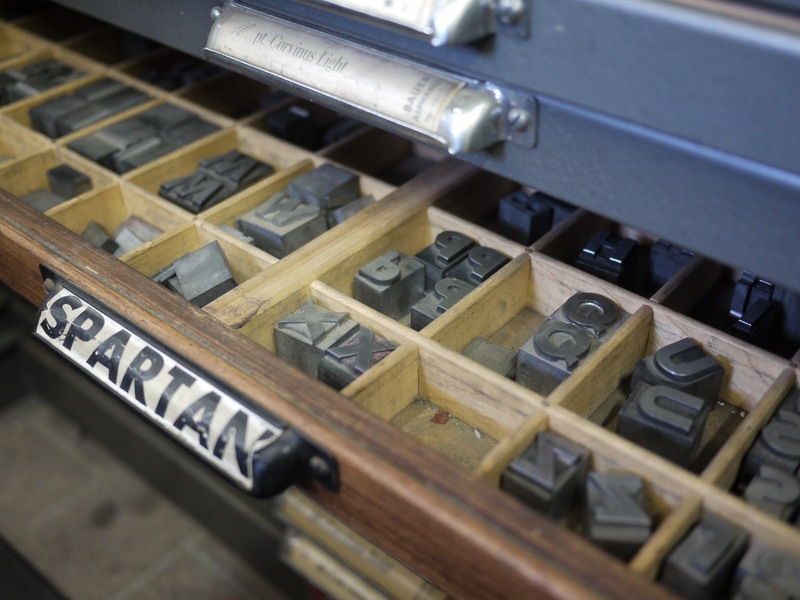 I hope to have many more letterpress projects to come in the near future. Stay tuned for more.